The 100 years is a refined watch with an exceptionally high quality appearance. With a 316L stainless steel case measuring 42mm x 11mm (excluding the crown and pushers) the timepiece displays classical proportions. 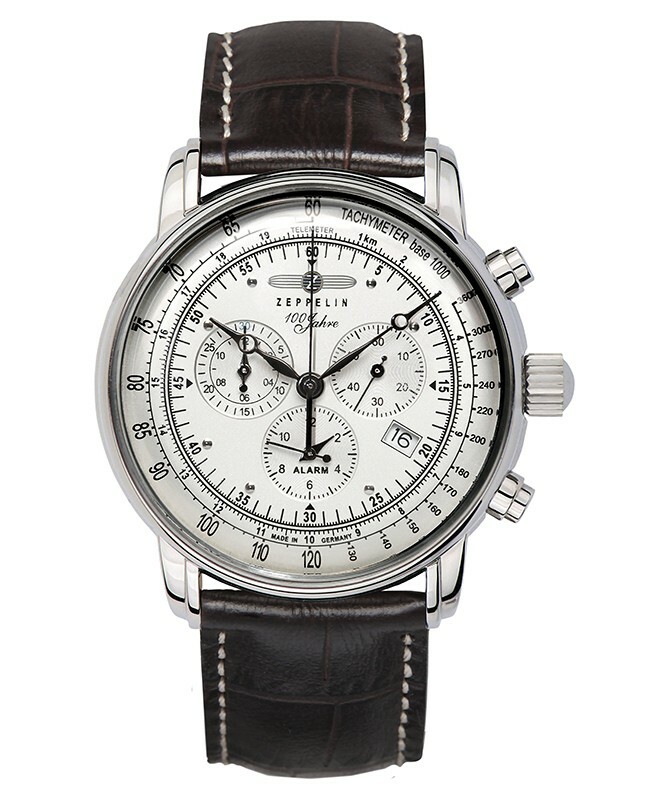 What makes the watch so appealing is the elegant silver dial with contrasting black markers, hands and numerals. 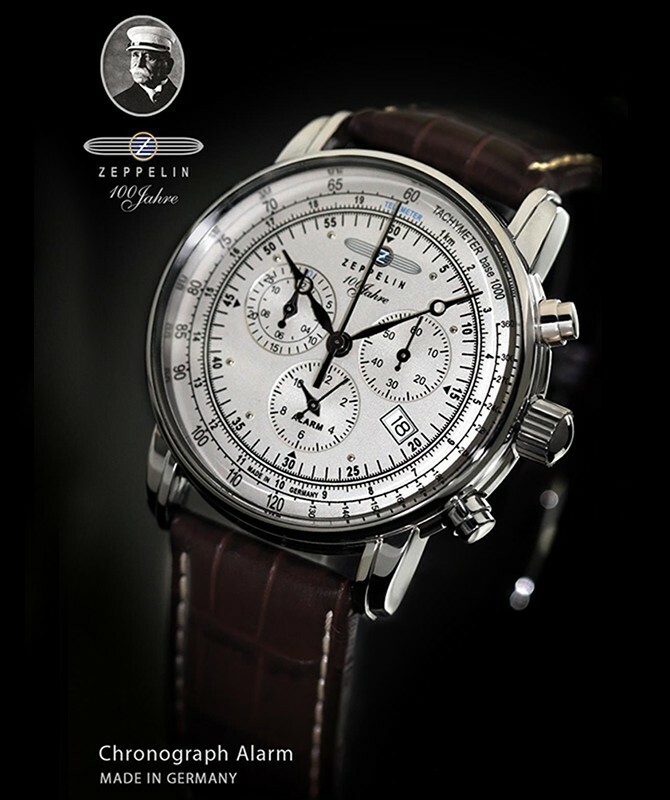 Functionally the timepiece features hours, minutes, seconds, date, alarm and chronograph timers. Beneath the charming façade lies a Swiss made Ronda 5130.D quartz movement. 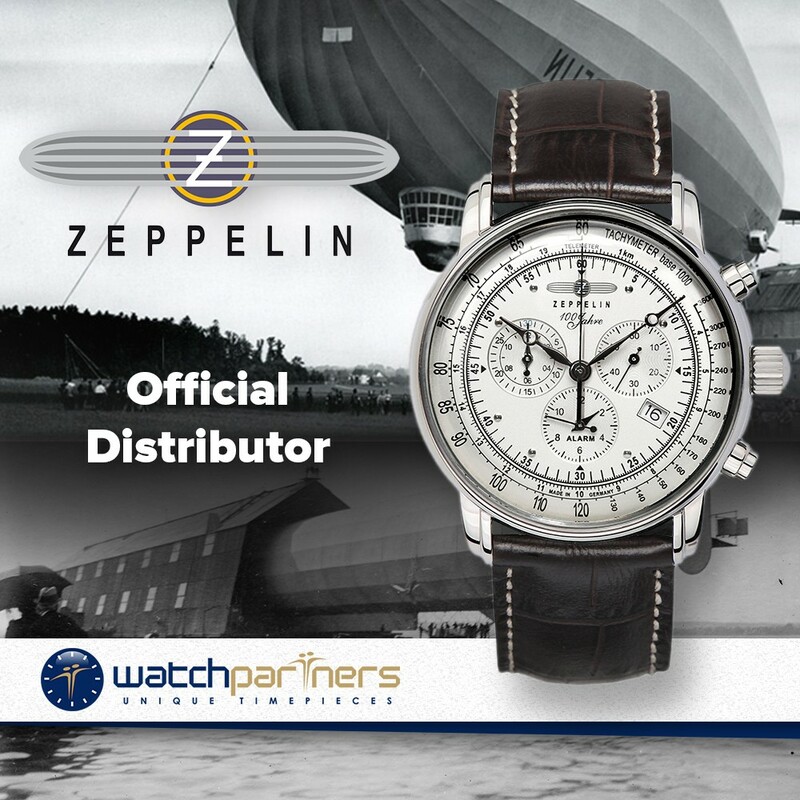 I am very happy with Watchpartners, excellent communication and prompt shipping.